The Server interface is available via the Internet Explorer or Mozilla Firefox web browsers. The procedures in this manual will assume you are using Internet Explorer. Refer to the companion manual Administration for instructions on installing and configuring the server and customizing the end user website. 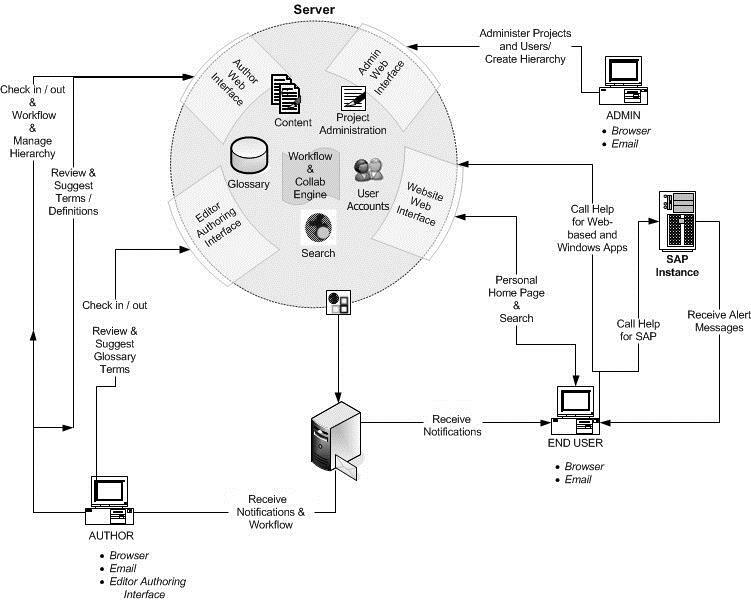 The following diagram illustrates the major functions of the Server and how the Server supports the activities of the author, end user, and administrator.